Rime and Reason, originally uploaded by nataraj_hauser. Yesterday was another one of those mornings in Wisconsin where the early morning air is really damp and the temperature plunges just before sunrise. 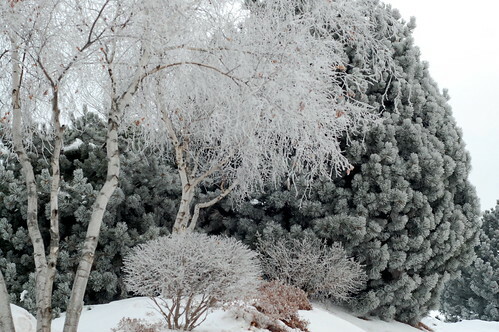 The result is a coating of rime frost that's like a thick fuzz on all the trees. It's truly beautiful, and by 10:00 AM it's all gone.